On October 21st, 2018, the world watched as the Los Angeles Lakers and the Houston Rockets squared off at Staples Center. The game was pretty close, but the real excitement took place late in the game when a scuffle broke out. 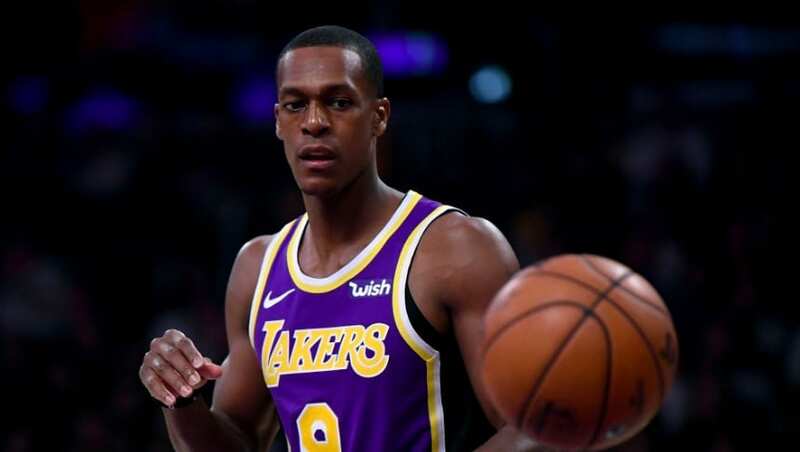 It involved the likes of Rajon Rondo and Brandon Ingram of the Lakers, and Chris Paul of the Rockets. There were other players involved, but they were the shining stars. Notice how we used the words “stars” there. Because as much as the media loved criticizing these players for their juvenile behavior, there was clearly a capitalist mentality taking place as well. If the media truly felt appalled by what they were watching on the television, they wouldn’t have talked about it 24/7 for the two weeks that followed the brawl. The truth of the matter is, the brawl meant one thing and one thing only for the media – publicity. Because at the end of the day, the NBA is an entertainment business. Beyond the basketball itself is the Hollywood aspect of it all. The drama and the passion. As much as we want to pretend it’s all about basketball, this is far from the case. The question is, is that a good thing or a bad thing? After the Lakers-Rockets brawl took place, Max Kellerman, a sports analyst from ESPN’s First Take show, said that he had to admit that the brawl was pretty entertaining. 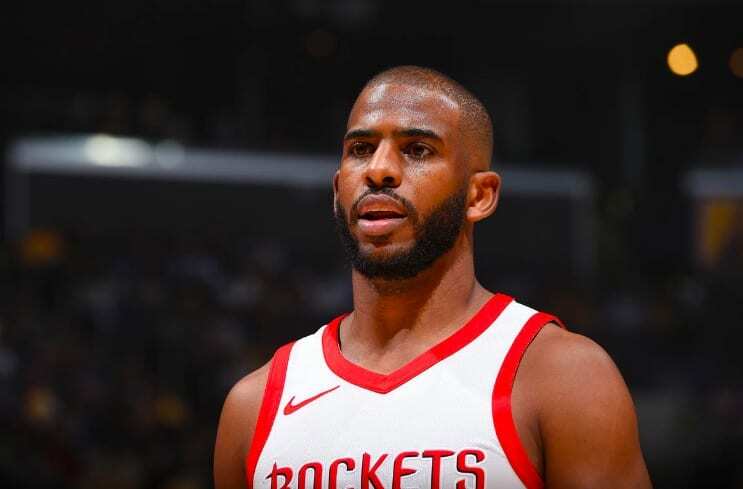 He called Brandon Ingram a “livewire” for his unpredictable actions, first pushing James Harden and later coming in for a punch after Chris Paul got his hand in the face of Rondo. Kellerman wasn’t the only one who admitted the fight was entertaining. Jalen Rose joked that Rondo’s landed punch on Paul was pretty fun to watch, and he certainly wasn’t met with disdain by his co-hosts. But these analysts aren’t to be reprimanded for what they said, because if we’re being honest with ourselves, we were all entertained by it. The whole “did Rondo spit on him?” thing was a topic that everyone kept asking, and it certainly sparked the entertainment value of the NBA up a number of notches that week. This has been the case with almost all fights that we’ve ever seen in sports. Heck, NHL players are supposed to fight! Here’s where the problem lies. While the occasional brawl can be entertaining, it’s important to realize how they can influence younger kids who idolize the players to do the same. In addition, in some scenarios a player can get seriously hurt. 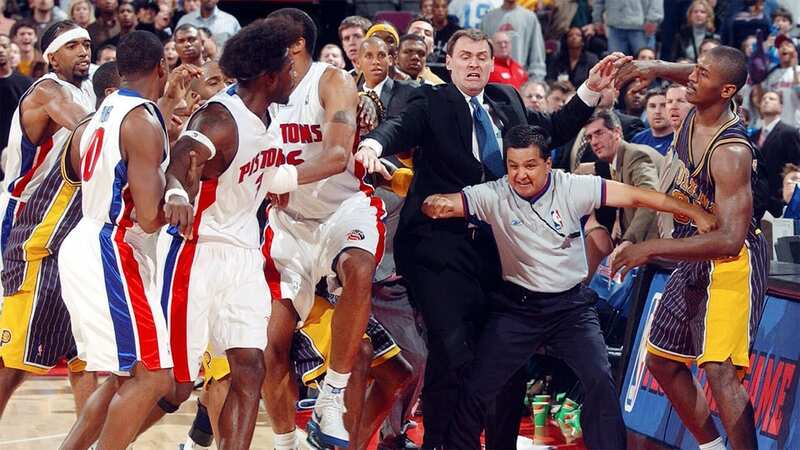 And sometimes it’s not just the players who get involved, but the fans as well (Can you say “Malice at the Palace?”). Healthy competitive banter can be good, but within proper boundaries. An NBA court isn’t a playground. It’s a stage with a massive magnifying glass upon it, where the entire world is looking in. This is what the players signed up for. They are human like the rest of us, but now they’ve been given the opportunity to be positive role models for future generations. Can they step up to the challenge? And can we as observers figure out a way to not condone this type of behavior, as entertaining as it may be?